Marvin Kivekas of Rock passed away peacefully on November 13, 2018, at age 89. He was born January 10, 1929 in Escanaba to his beloved parents Clara and Reino Kivekas. He graduated from Rock High School in 1947 and was captain of the 1946 UP State Championship basketball team. He loved to play basketball and walked 5 miles everyday no matter the weather to practice. He played on the adult town basketball team as well. Marvin was afforded the opportunity to play against the Harlem Globetrotters, which were touring the U.P. at the time. After high school Marvin and a friend left Rock to go to Chicago to seek employment. While in Chicago he was inducted into the Army for 2 years. After the Army he returned to his hometown of Rock as he loved the small town life. With the help of all of his wonderful neighbors, friends and others he was able to remain living in his home. Marvin learned from an early age while growing up in the depression that the deprivation and adversity created strength of character and a genuine compassion for others. He had a very creative mind, great skills in which he was self-taught and a deep appreciation for the smallest, simple things in life. He had a willingness to share and help anyone that asked for help. Marvin worked 29 years at the Rock Co-op Northland Federation as the manager and mechanic. Later he worked at K&K MFG. Co. in Rock. He eventually worked at K.I. Sawyer Air Force Base where he retired from. Of course he never stopped “working”. For years and up until age 87 he harvested all his home heating firewood as he loved the warmth of wood heat. Marvin loved spending time with his family. He also loved the great outdoors and was an avid hunter and fisherman. He enjoyed playing horseshoes, cards -especially cribbage, watching basketball, football and baseball. He was a self taught mechanic, carpenter, plumber, electrician, gardener and musician. He truly was a jack of all trades. 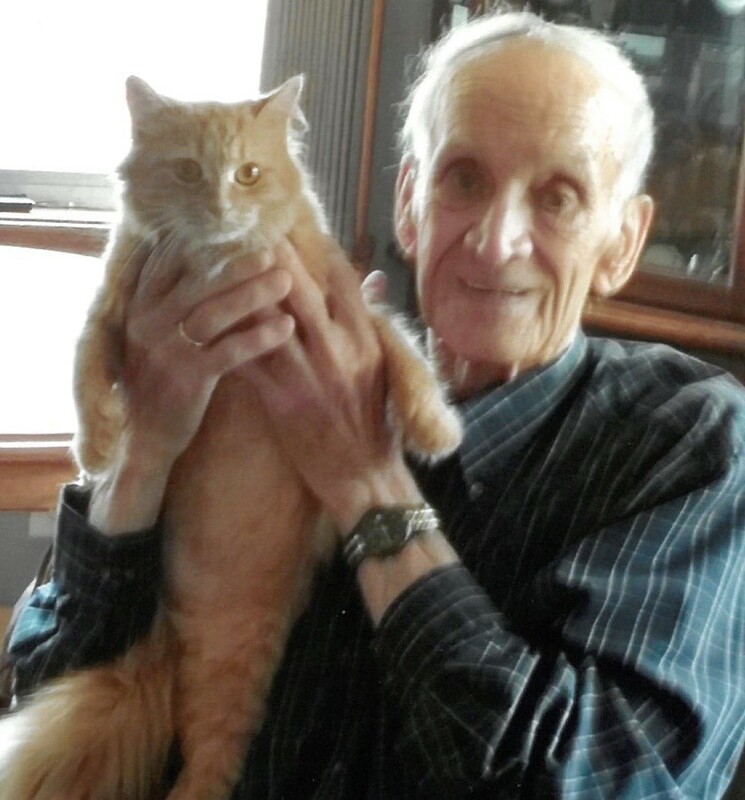 Marvin is survived by his wonderful pet cat “Kitty”, his daughters: Dianne (Dennis) Hettinger, Julie (Loren) Whipple. Daughter-in-law:Traci Kivekas. Grandchildren: Michelle (Chris) Lennon, Kristen (Tom) Owens, Brooke Ditmar (friend Mike VanHill), and Nathan Whipple. Great Grandchildren: Madison and Alex Lennon, Sarah and Olivia Owens, Gavin and Ethan Ditmar and Sister Zerilda Salminen. In addition he had other nieces, nephews, family and friends. Marvin is preceded in death by his wife Betty, parents Reino and Clara Kivekas, Sister Agnes, grandson Ian Kivekas and son Dwayne Kivekas who passed earlier this year. Private memorial services to celebrate the life of Marvin Kivekas were held Saturday, November 17th at Skradski Funeral Home in Gladstone. I worked for Marvin at Northland Co-Op and really enjoyed it. He was a great guy and he will be sorely missed. My condolences to his entire family. My condolences to Marvin’s family. I was so sorry to hear of Marvin’s passing. He occasionally sat next to us in church. We enjoyed visits with him. Our prayers are lifted up for his loved ones, that God grants you strength and wraps His loving arms around you.